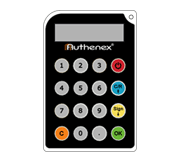 Authenex has developed the most affordable, secure and easy-to-use platform for strong two-factor authenticated e-security applications - making it possible for enterprises and PC-users to afford and deploy the highest standards in network security. The Authenex suite of applications includes Strong Authentication for VPN, LAN and Web, Strong (Web) Access Control, End Point (File and Hard-Drive) Encryption, Secure File Exchange, and an All-in-One Security Suite, as well as Certificate Storage. 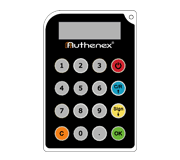 Each leverages the chip-based Authenex A-Key token - providing simplified management and use. Combined authentication features are offered in the A-Key for multi-functional usage. 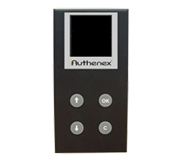 Authenex offers two-factor authentication solutions designed for maximum flexibility, total mobility and simplified ease of use for varied organizations across all industries to secure sensitive information and protect the integrity of home or enterprise computers and network infrastructures. Our customer base includes a wide array of segments, including healthcare, financial services, government, biotech, education, legal services, marketing, manufacturing, consumer retailers, and industrial and computer technology. View information on specific solutions that satisfy your e-security needs. The Authenex Milestone Ensure service is cloud-based, which means there's no software to install, and no server to set up. Through a robust and simple API you have access to a state-of-the-art two factor authentication service which will enable you to implement strong user authentication in your product.